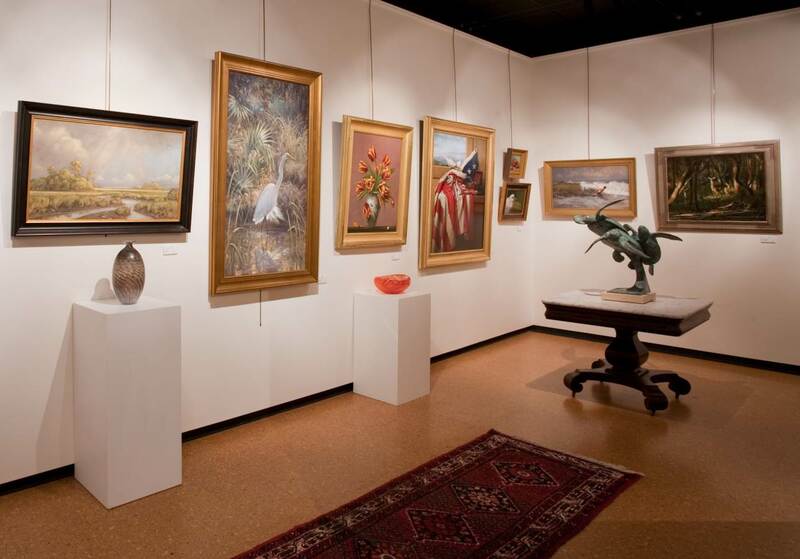 The Wells Gallery is the premiere gallery at The Sanctuary Resort on Kiawah Island, dedicated to providing contemporary art works focused on the Lowcountry and Southern experience. This innovative and unique gallery has been carefully designed to enthrall its visitors with its collection of original oil paintings, watercolors, and artisan jewelry produced by some of the nation’s most sought after artists. We strive to foster an appreciation of the visual arts, and to support the development of our established and emerging artists by presenting their works in our gallery and through our website. Presenting the works of local and national artists who have proven to embrace the barrier islands for all their splendor and natural beauty, the gallery is the region’s only to feature works of art that celebrate Kiawah Island. The Wells Gallery hosts exhibitions and workshops from our roster of over 20 artists including: Curt Butler, Russell Gordon, Gary Gowans, Glenn Harrington, E.B. Lewis, George Pate, and Karen Larson Turner. We hope you enjoy your tour of our artists' work. If you have any questions, please don't hesitate to contact us. We would love to hear from you.